GS3 2-10x42 is rated 4.9 out of 5 by 23. Is that small knob on the GS3 2-10x42 below the turrets for parallax adjustment ? No, that is a posi skirt. It aids the scope in holding up against extreme recoil. what are the actual subtensions of the stadia in the S1 reticle (in moa or mil)? 1.6, 4.3, 7.2, 10.5 MOA ^This is per a Burris tech support guy. Does the Steiner GS3 series of riflescopes have Nano Protection on the exterior lenses ? The GS3 scopes do incorporate nano coating on the lenses. You will need medium rings. 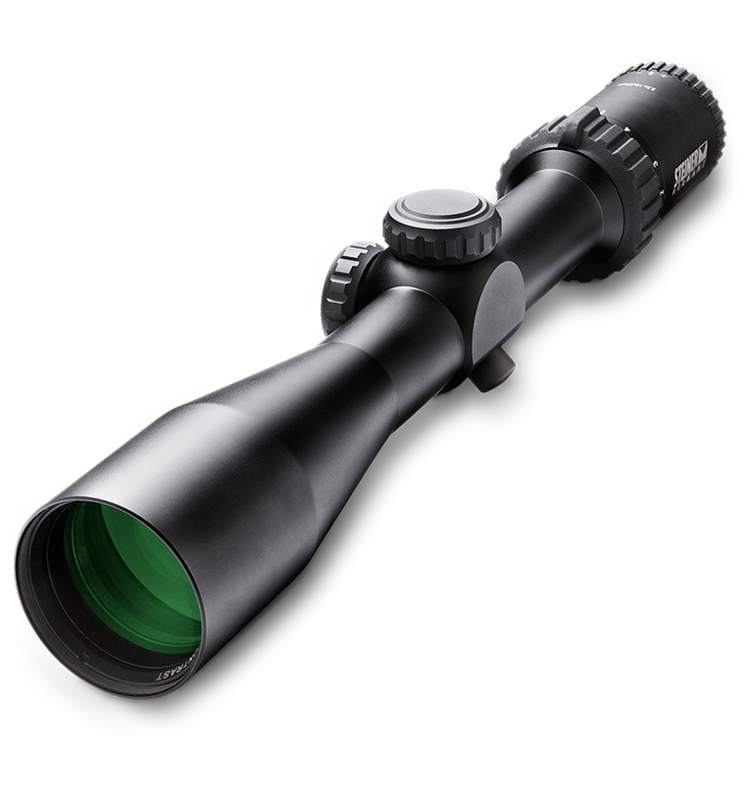 What is the country of origin for the glass used in the GS3 2-10x42? I would recommend choosing any scope with the Ballistic Plex E1 reticle and set the magnification power to 15 in the program. Yes, i could recommend a sunshade, however we do not manufacture one.